Today is World Health Day, and this year, the World Health Organization is focusing on diabetes in an effort to raise awareness and stem the tide of this rapidly increasing worldwide epidemic. 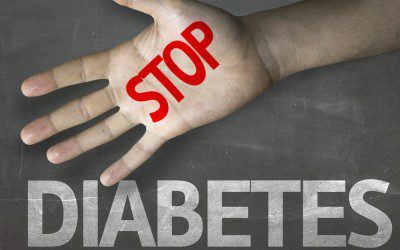 Roughly 30 million Americans and 422 million people around the world are currently diagnosed with diabetes, and this number is expected to double in the next 20 years. And what’s more, 86 million Americans have prediabetes, putting them at increased risk of developing Type 2 diabetes, but 77 million — more than 90% — are not aware that they have the condition. Weight loss and a healthful diet are the best ways to reverse prediabetes. The YMCA’s Diabetes Prevention Program, which was recently certified by Medicare, provides lifestyle coaching to help at-risk adults reduce their chances of developing Type 2 through the adoption of lifestyle practices such as healthy eating, losing weight, and getting regular physical activity. Participants in the Diabetes Prevention Program lose an average of 5.5% of their body weight after one year, and the program has been found to reduce new diabetes cases by 58–71% for people over age 60. To learn more about the “Beat Diabetes” campaign, visit the World Health Organization’s website, and to learn about the Diabetes Prevention Program, see the article “Medicare’s New Diabetes Prevention Programs.” And to find participating Y near you, visit the YMCA website.